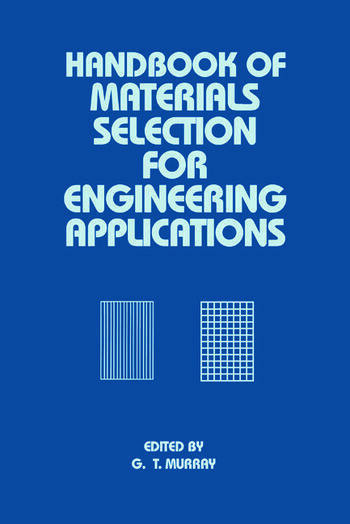 Principles of selection; introduction to metals; non-ferous metals; carbon and low alloy steels; ultra high strength steels; bearing and tool steels; stainless steels; cast irons; heat resistant alloys; polymers; ceramic materials; metal matrix composites; polymer matrix composites; ceramic matrix and carbon-carbon composites; environmental degradation of engineering materials; comparative properties. Appendices: conversion units; materials costs. ". . .a valuable resource for the design engineer. . .The writing is of high quality throughout, an impressive achievement in a multiauthor book."